Earlier this week I shared tips on secure credit card web-shopping. Now, let me share where it all started... my sheer fascination over shopping online--and I come from a third world country yet I just LOVE this modern habit. Read more after the jump as I share with you the advantages of online shopping. With the influx of really hard-to-miss-out coupon codes offering buy one take a lot promos, it's understandable why web carts are becoming heavier and heavier. Sure I love old fashioned mall strolling as exercise but there's something sweet and fulfilling when shopping in the comfort of your home, don't you agree? If you haven't got the hang of shopping from your home, here are some reasons why you should shop online. Online shopping will give you time to think on whether you should make the purchase or not. It's advantageous to those shopaholic who can' stop themselves from making impromptu and impulsive purchases whenever they walked into a shopping mall. Ever caught yourself in a store for one item but bring home a bagful of oh, what does this thing do? Yeah, we've all heard or even experienced being in those shoes. If you wish to control your wayward cash flow, then a well thought of cart is something that would definitely bring about the discipline you need. You can use Paypal or credit cards to make purchase when you shop online. I love any form of money-free shopping and Paypal gives me the peace of mind and security I need to enjoy a bookmark-happy window surfing. Like I said, online shopping helps people control their expenses. Having an online cart makes it easier and more convenient for anyone to review their purchase before actually purchasing a lot. It's canvassing, budgeting, prioritizing and good 'ole shopping in one very easy task--add to cart! Shopping in the comfort of your own home will save you the effort of going out during bad weather. It's not just the bad weather even. 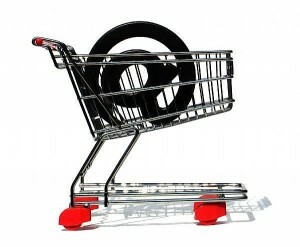 Online shopping saves you from traffic-anxiety and more. Personally, online shopping helps me unwind a little after a long week. Busy bees are definitely thankful for web commerce, that's for sure. Online "shopping" helps my mind relax. Online shopping will save you a lot of time on traveling and queuing up at the cashier to make payment. I hate dislike standing in line especially if I'm only getting a small amount of items. Queuing up can be quite a pain and anything that will help me avoid it is welcome to my vocabulary. Online Shoppers are always VIPs. Their carts are always served whenever their ready to set the button on "go". Although some stores charge a shipping fee, most web stores offer a very tempting free shipping option so we shoppers get value out of our money. Gas is very expensive nowadays, not to mention a deterrent to our planet's flourishing bosoms. Imagine the expense of going to and fro a store incurs. Imagine that amount, saved. How about you, what's your fashion must-have when it's raining? yey so where did you buy your cardigans? I like any kind of shopping, period. yes! any kind of shopping is fun!